By Jackie Scharfenberg, Forest Naturalist, Wisconsin Department of Natural ResourcesOn a cold morning, you may look outside and, to your amazement, see a world covered in beautiful sparkling ice crystals. That’s the handiwork of me, Jack Frost. 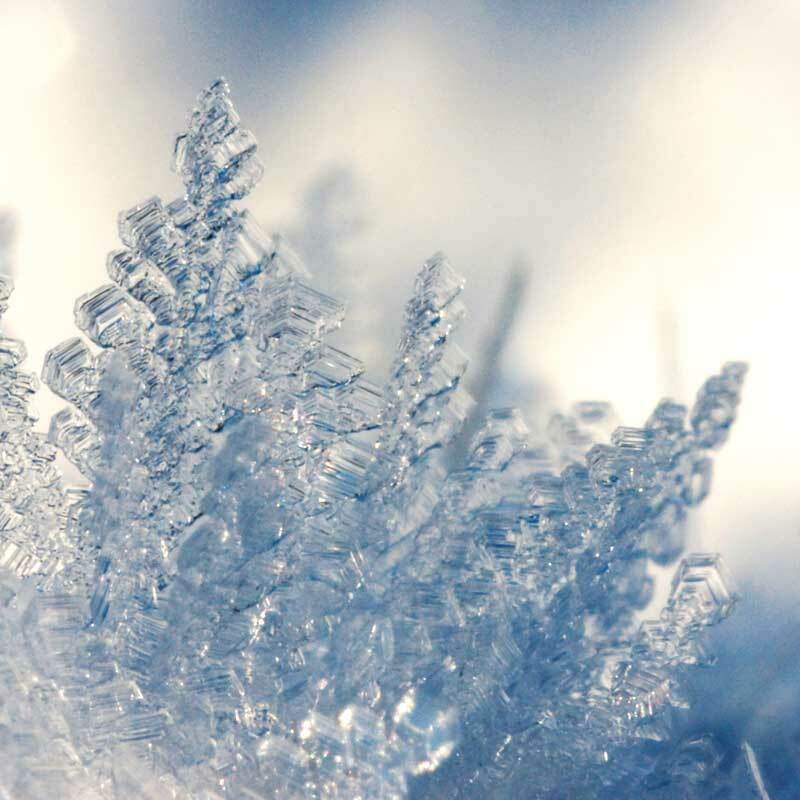 To create frost, I work in special conditions when air and surface temperatures dip below freezing, the wind stays calm, and water vapor fills the air. For a glassy, cloudy, or crystalline look, I use liquid water and allow it to freeze over those cold surfaces – ice coatings. If I feel sparkly, that calls for water vapor freezing directly from the air to all sorts of objects forming crystalline frost of shimmering ice spicules. I receive the most praise with my hoar frost of white ice crystals deposited on the ground or loosely attached to objects such as branches, leaves and other objects. I create these spectacular scenes on cold, clear nights when heat radiates out to space faster than it can be replaced from nearby sources such as wind or warm objects. Next my canvas (the trees, leaves, ground, fallen snow, and other outside things) cools below the frost point of the surrounding air, well below the freezing point of water. This allows those ice spicules to form and they continue to grow as long as the perfect conditions last. I named this artform hoar frost because it makes the trees and bushes look like white hair of old people. I tingle with excitement when the air temperature dips below 18 degrees, the relative humidity goes above 90 percent, and the wind blows ever so slightly, because then I can make white frost. I allow water vapor to directly form big, interlocking needle-shaped crystals resembling a heavy coating of hoar frost. With a very cold wind blowing over tree branches, flowers, poles, and other surfaces, I rim their edges on the windward side with wind frost or, as the meteorologist say, advection frost. I can produce these stunning works any hour, day or night. I love leaving my calling card on windows exposed to very cold air on the outside and warmer, moist air on the inside as window frost or as some say – fern frost or ice flowers. This frost form is not as popular as it once was because more and more people have installed energy efficient double-pane windows. On occasion I go outside the frost box to fashion a bit of rime. I need to work quickly with heavily saturated air and windy conditions to deposit a layer of ice on cold surfaces. My favorite rime canvases are the riggings of ships travelling through the Artic seas. Finally, there’s black frost or “killing frost,” which strictly speaking is not a frost. It occurs when the humidity is too low for frost to form, but the temperature falls so low that plants freeze and die, becoming blackened. I accomplish my best work in winter, spring, and fall. If you let me know what pieces you like, I’ll give you a Jack Frost autograph without nipping your nose, fingers, or toes! © 2019 The Greater Valley Guide. All Rights Reserved.